Do we have PMBOK fifth edition? What is the current edition of PMBOK? Did PMI change edition of PMBOK after August 30, 2011? 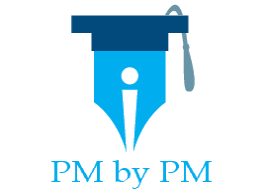 When is PMI going to come out with new edition of PMBOK? I heard that PMI is going to revise PMBOK to fifth edition in January 2012. Is it true? I hear these and similar questions very frequently in my classes. These questions come more because of anxiety of passing the PMP exam rather than facts. These anxieties are further fueled by the fact that there are some baseless rumors floating on the web. Let me clarify the doubts and set the record straight. The current edition of PMBOK is fourth edition. PMI is currently preparing for fifth edition, however they have not published any dates for releasing the new edition. Here is a link from PMI website that will help in quelling the rumors. PMP aspirants should not be worried about the rumors. Whenever there is a doubt they should go to http://www.pmi.org and check the facts.